Extraordinary cooperation and meeting under the guardian of wild nature in the Alps of Slovenia. This is how I would describe this hunting expedition in Košúta 2017 in one sentence. “So where we are going for the next Hunting adventure? Do you have any type for this year?” my friend, hunting photographer, Adam Simandel, asked me this year in March. And so on Thursday 9th November in the afternoon, after a quite calm journey, we crossed mountain pass Polna Peč, forming state border between Austria and Slovenia, and we went down to the foothill town Bistrica near to Tržiču. Here on the gas station our guide and host in one person, Zdenko Promožič, was waiting for us. Mountain man with young looks, nobody would guess to him pre-retirement age. He was the one, who guides both of our cars to the hunting hut, which was about 20km away, even if it has modest look, it was supposed to be our reverend and pleasant harbor for the entire hunting stay. And it was. 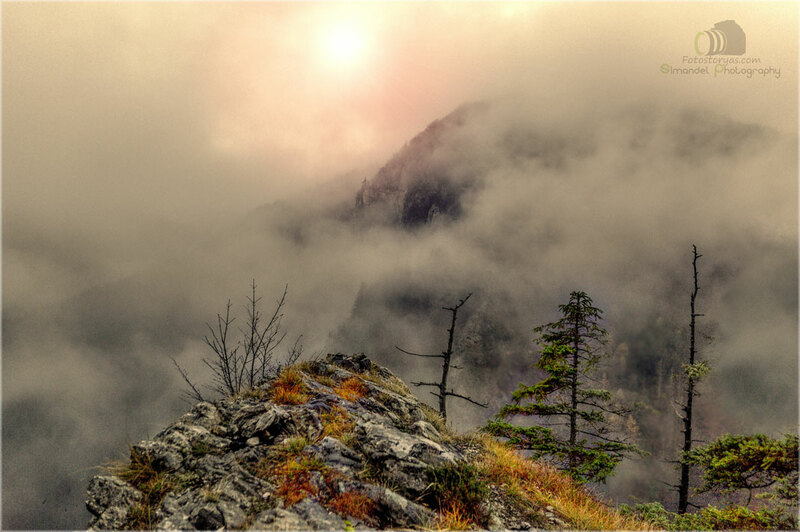 It was placed in the middle of the mountain hunting ground, with an area of 4000ha at an altitude of 1450msl, in the near distance of ridge shields of the Košuta Mountains. The journey there was already a small adventure. Asphalt roads ended somewhere far in the valley and the low layer of snow that was lying in certain parts of the slopes was at least a small adrenaline injection for the driver. 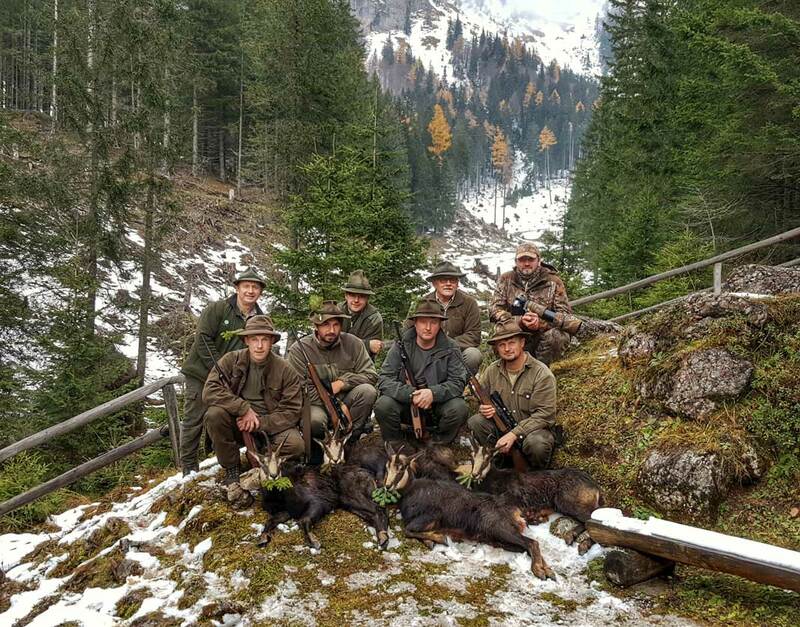 Our hunting group was formed, besides Adam and my little ones, by three more hunters, my friends from Slovakia, Miro, Lubo and Jozo, and my friend Danouš, who is not a hunter, but he went with us to expand his life views. I haven’t known personally the hunting area Košuta yet, but I got the recommendation from my friend as a very beautiful place for the physically demanding hunt. It is spread from valley 450 msl up to high mountain peaks 2450 msl. In addition to a strong population of chamois, there is also high opportunity to meet abundant deer population. Photos of the hunters with their trophies which were hanging there as the interior decoration in the hunting hut was a proof of the quality of the local game animals. From even-toed animals, you can also find here modestly represented doe and very rarely wild boar, whose hunt is considered by local people as a special moment. Marmot lives here very rarely, just as the predatory trait or the bear. 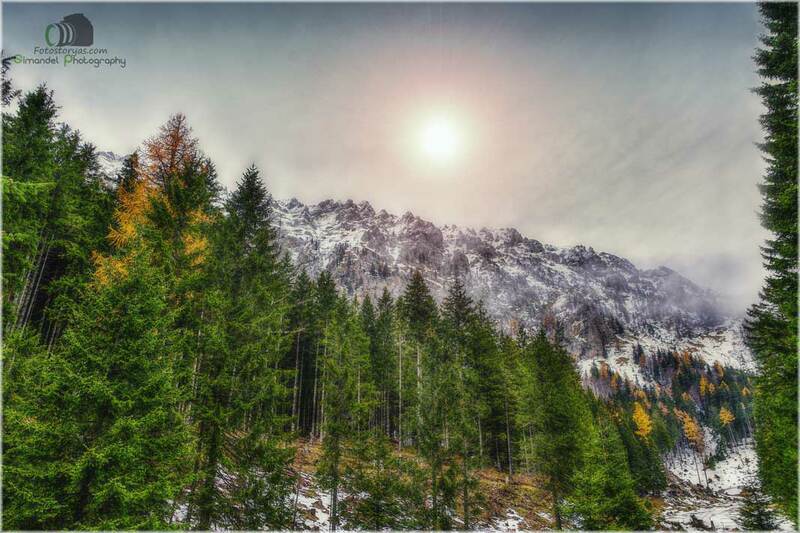 Most of the area is made by mixed mountain spruce and beech, supplemented with heavily growing firs here solitaires larch and above the top of the forest growing dwarf pine. All valley, sides, and slopes are intertwined by the very high quality of gravel path that enables easy access to the entire hunting area. We were amazed by this beautiful hunting area. On Friday morning our hunting enthusiasm was knocked down to the freezing point by thick fog everywhere visibility was only tens of meter. Each time I’m in the mountains I have proven MeoPro 8×56 HD telescope of one unnamed Czech company with me, and I’m very curious how it will work in this weather. Each of us had his own professional hunting guide. Shortly after 7 am we are taking a car and we are going to different parts of the hunting area. In the lower parts of the mountain forest visibility is much better than it was below the mountains and my guide Michal knows exactly where to go. He knows the exact point around 100 points CIC where is really good chamois and there we go. We are wondering with Adam. Hunting for a specific chamois at the time of the peak rut in such a large area seems to us as a fairytale told to children before the bedtime. We know so little about animals that live in the mountains! But Michal is a real professional who knows exactly what he is doing. During the morning saunter in the dense vegetation, we have met continuously eight chamois, and one of them was the mentioned one. Unfortunately, he knew about us earlier than we did, so we are meeting other friends on the hunting hut shortly before midday. Even though the weather was not so good, Lubo managed to hunt good chamois that was five years old. Hunter and his guide got lucky. They got the chamois in the overgrown basin and Lubo got his first goat for 80m distance with one good shot. Other two hunters also met chamois but they were not allowed to shot. After the lunch, around 2 pm, we are going back to the hunting area. This time no one got lucky and we are meeting back in the hunting hut without a catch. During the night the weather gets better and Saturday freezing morning is welcoming us with a pure blue sky. Fog is gone and the peak of the mountain massif stands majestically above us and it is shined by the rays of the rising sun. Today we are changing our hunting tactic. I and Michal we are going down into the valley, we will try to get that particular chamois, friends Jožo and Miro are going with their guide down below ridges of mountains to the well know locations, which were hidden in the fog yesterday. Today we got lucky. We are finding the certain chamois in the same place as yesterday and after the dramatic hunt, I got it. Chamios is six years old. The way back to the car took me an hour and a half with the Chamois on my back. I’m tired and happy. 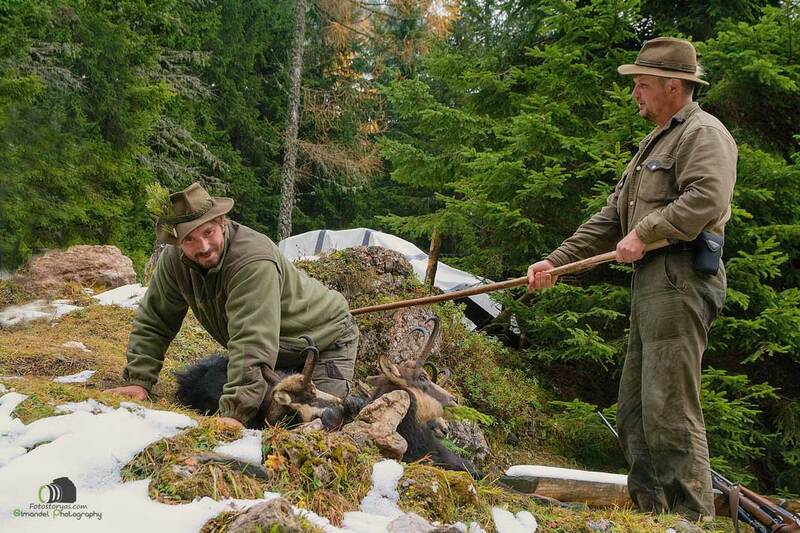 Also, Miro and Jožo have met lots of Chamios and because they are good hunters, they are bringing to the hunting hut two strong chamois at midday. Miro´s one is five years old and Jozo´s one even twelve years old. Nobody has hunted so old chamois for years here. His trophy reaches the spot value of the bronze medal and is the strongest in this hunting season in the local pursuit trophies. It seems that our excellent mood could be destroyed just by Dano´s injured knee from yesterday which swells in an unbelievable way. And because it was the first time for my Slovak friends to hunt their first chamois here in Košut mountain, it was a great honor for me to dub them to the hunters of chamois with the sound of Czech-Slovak hunting fanfare during the Saturday afternoon. And total balance? Four really strong chamois that were caught during two days and three walks. I have already got small experience with a hunt of chamois but such a good result I didn’t even expect. I like to go back to the Alps for hunt always. For me, these European high mountains are clean, beautiful, cool and difficult at the same time. And if you are lucky, you can spend some time here with such a group of good friends and you’ll keep these memories in your heart forever, as I will. Our Czechoslovak chamois expedition ended on Sunday morning when after our farewell with our dear hosts, we are going back to our homes. Hunt well. 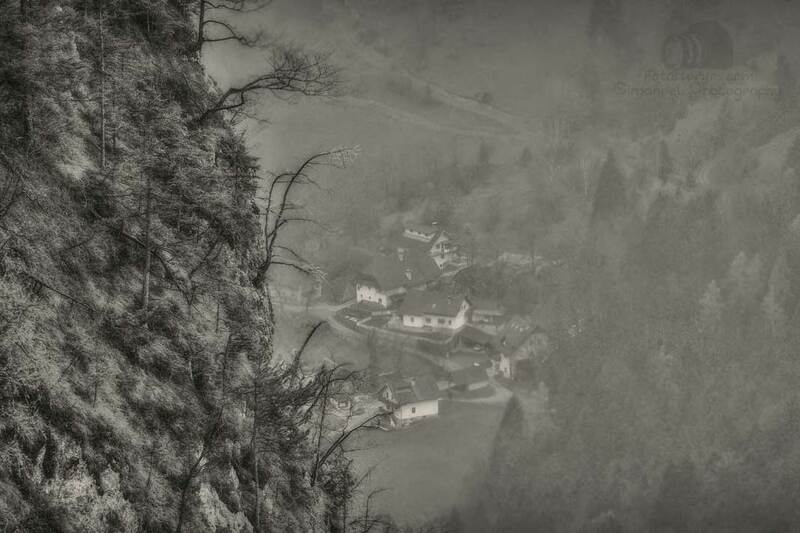 Explore the Photo Gallery of the Chamois Hunting Trip. Just Tap or Click the Images Below.